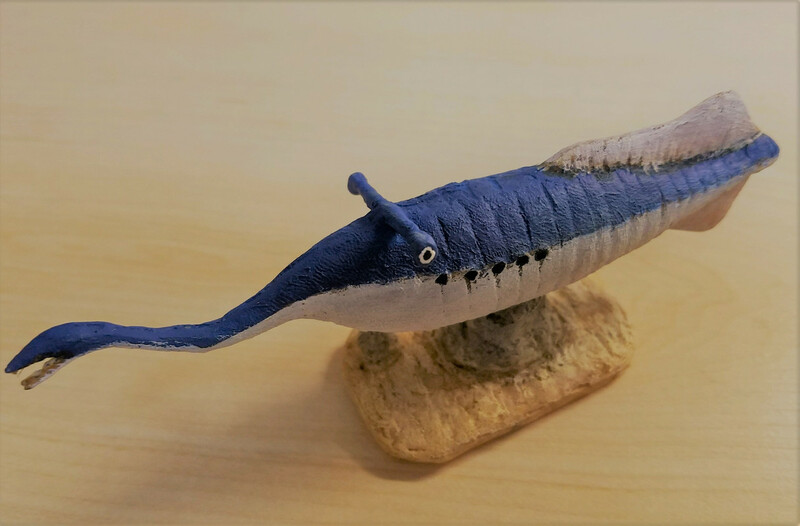 Another new species for me, the 'Tully Monster', Tullymonstrum gregarium Richardson, 1966 by Paleo-Creatures ( @Jetoar ). This enigmatic prehistoric invertebrate is known only from the Mason Creek formation in Illinois. 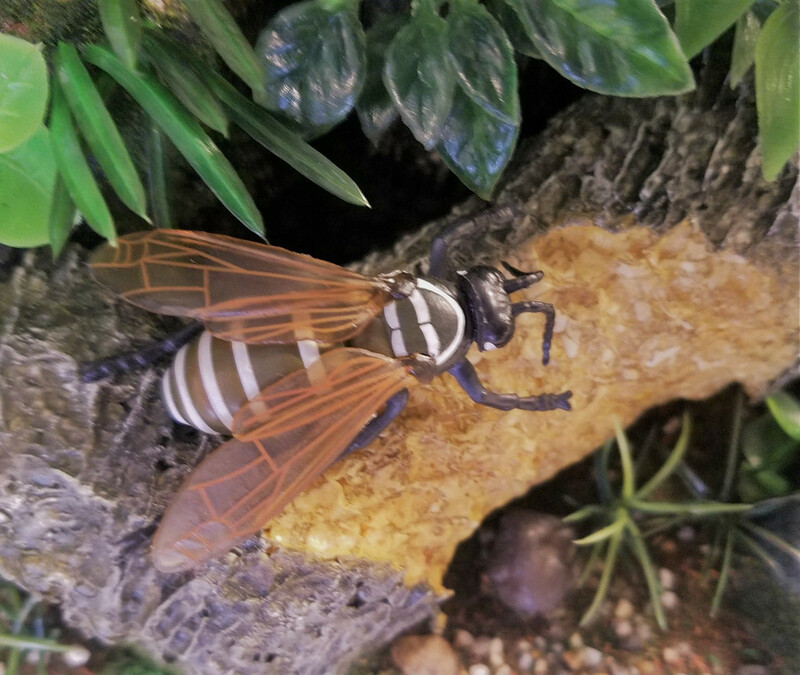 Figures of this species have only been made by specialty companies and personal artists, but my guess is it will not be long before Safari or CollectA makes one . Wow, That looks bizar! Great figurine! A species for me, the black hornet Vespula flaviceps (Smith, 1870). This was an 'accessory' figure (for lack of a better term) for the hornets collection by Break Co. LTD.
Great! Did You get the golden one as well? Yes but still unsure of its identity. Honestly it might be an artificial coloration as a gimmick piece? The red-banded snapping shrimp, Alpheus randalli Banner et Banner, 1980. Red-banded snapping shrimp have a symbiotic relationship with various gobies. The two species share a burrow together. The shrimp maintains the burrow and in turn gets to feed on food scraps from the fish. The shrimp is nearly blind and is very sensitive to movements of the fish, often keeping an antennae in constant contact with the fish. If the fish retreated into the burrow to avoid danger, this shrimp follows! 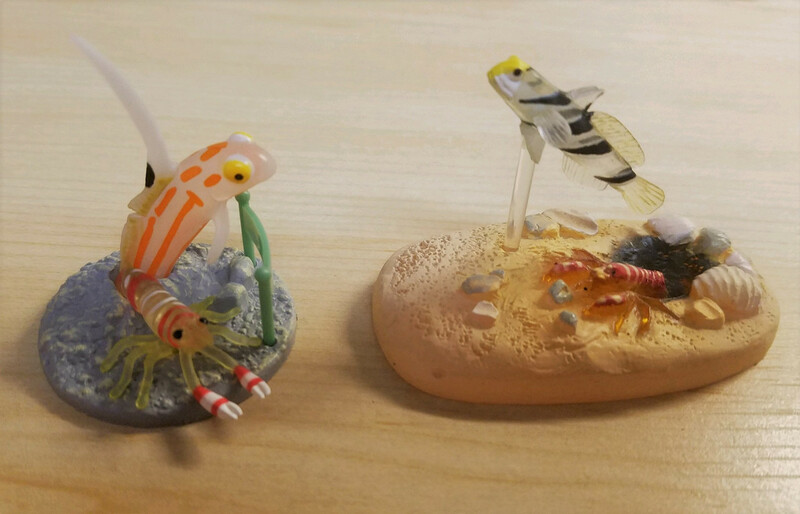 Left: with the orange-striped shrimp goby, Stogonobiops yasha Yoshino et Shimada, 2010, by For Corporation. Glad to see this post revived ;-)! Haven't gotten any new arthropods lately. Most 2019 additions are not out yet :-). Thank you for the interest and support!